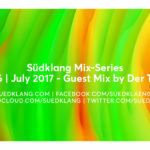 The June mix of the Suedklang Mix Series is mixed by La Maka. His set contains tracks of @affkt, @oxia-official, @lehar-music, @jonathankaspar and many more. Again, La Mach’s dark melancholic set style is clearly Audible but this time riddled with house tracks that gave the hole mix a Groove background. Enjoy the No. 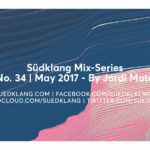 35 of our Mix Series and feel free to share, like and download the mix.